Resgen’s Boikarabelo: Bust in the bushveld? Resgen is an Australian corporation with just one asset – the part of the bushveld which they have yet to develop as the Boikarabelo coal mine. It has no income and losses are mounting. It’s largest shareholder: The Public Investment Corporation. The Waterberg is being touted as South Africa’s new coal frontier to replace declining production from the central coal fields of the Mpumalanga Highveld. This is despite warnings from the conservative International Energy Agency (IEA), in its latest World Energy Outlook, that no new fossil fuel resources should be developed because carbon emissions from existing plants will be enough to drive global warming over the limits agreed in the international climate negotiations. Resgen’s Boikarabelo coal mine is one of 10 new mines proposed for the Waterberg. It lies about 80km west of Lephalale, where Eskom’s new Medupi power plant is being built next to its older Matimba plant. If all the proposed mines are developed, they would dig out the whole bushveld area up to the Limpopo River and more mines are proposed across the river in Botswana. To work, they need viable markets, transport to get the coal out and water – despite the name, the Waterberg is dry and will get dryer with climate change. But first, they need money and lots of it. Alongside the road to Boikarabelo, two new bridges stand isolated in the bushveld like monuments to futility. They were built some five years ago to carry a coal railway line from Lephalale to the mine, but the rail has not been built. Since 2013, Resgen has repeatedly claimed that it is about to close deals for debt finance to build the mine. Now, in 2018, its latest statement says it is talking to a secret funder to secure finance. It wants the deal done by Christmas. Resgen is an Australian corporation with just one asset – the part of the bushveld which they have yet to develop as the Boikarabelo coal mine. Resgen has no income and mounting losses. To manage this asset, Resgen has an elaborate corporate structure. Resource Generation Ltd has two subsidiaries: Resgen Mauritius and Resgen Africa. Resgen Mauritius owns Resgen South Africa which in turn owns 74% of Waterberg One Coal Ltd. Resgen Africa owns 74% of Ledjadja Coal. The remaining 26% in both Ledjadja and Waterberg One is held by Resgen’s BEE partner, Fairy Wing Trading 136, which was originally linked to former Department of Mineral Resources officials. Ledjadja owns Boikarabelo with a mining right while Waterberg One merely holds some prospecting rights. Resgen Mauritius appears to have no real function unless it’s to make use of the offshore tax haven. According to Resgen’s annual reports, investors hold 580 million shares. The biggest shareholder is South Africa’s Public Investment Corporation (PIC) with 113 million shares followed by Noble Group with 80 million shares. Noble is a minor Australian commodity trader which managed losses of US$200 million in the second quarter of 2018, an improvement on losses of $1.8 billion in 2017. Resgen’s share price slumped from A$0.30 in 2013 to A$0.05 in 2018 (Australian dollars). So the PIC has lost A$28-million – about R290-million. This is money which the PIC manages on behalf of the Government Employee Pension Fund. Meanwhile, according to Resgen, the Industrial Development Corporation (IDC) approved a R540-million loan in April this year subject to various conditions. The IDC itself lists an amount of R1-billion – which leaves a R460-million question hanging. In 2017, the Development Bank of South Africa (DBSA) promised funding for the rail link, although this appears to have lapsed as Resgen is once more “in talks” with possible funders. It is a condition of the IDC loan that funding for the rail must be secured. These public sector loans and investments appear to be nested in conflicts of interest. The IDC has listed the “prominent influential persons” who are beneficiaries of the deal. They include: Jabu Mabuza who was appointed Chair of Eskom’s board in January 2018; two people from the Land Bank’s board where Eskom CEO Phakamani Hadebe is a former CEO; one person from the board of the DBSA; nine members of the PIC board – all but two of the 11-person board – including CEO Dan Matjila and Chief Finance Officer Matshepo More; and former deputy finance minister, and hence former PIC board chair, Sifiso Buthelezi. The Waterberg coal field is difficult. There is a large overburden, half the material from the coal seams is discard, some 30% to 40% is “middlings” – a low-grade thermal coal with a high ash content – and just 10% is a “soft” coking coal. Exxaro’s Grootgeluk is the only mine there at the moment. It is viable because it has the best spot on the coal field and a market for both grades of coal. It supplies the middlings to Eskom’s Matimba and Medupi power stations by a short conveyor belt at low cost and rails the higher-value coke to Richards Bay, albeit at high cost. It also commands the existing water supply to operate the large and sophisticated coal washery necessary to make the Waterberg coal marketable. Boikarabelo has none of this and, according to retired Grootgeluk manager Joe Meyer, has zero chance of success. Resgen, however, hopes to sell the middlings to Eskom and says that a test burn was successful. 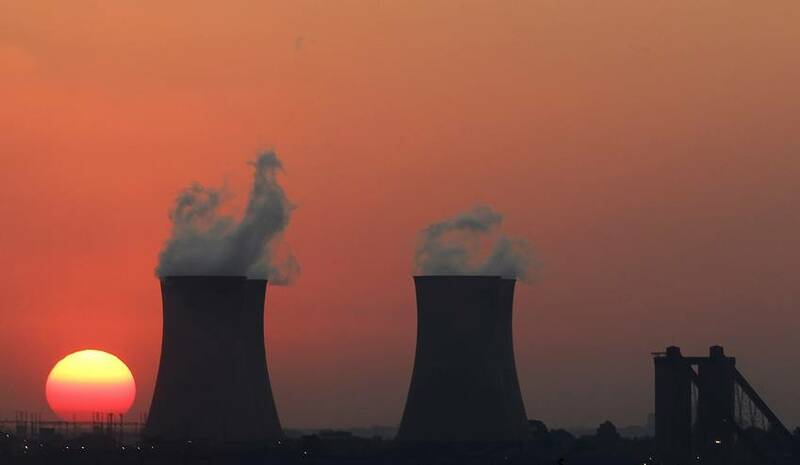 By July 2017, Eskom had not given a formal undertaking to take the coal and, if the new Eskom management were to agree to it, the deal would surely be tainted, given Mabuza’s position. Moreover, the coal would either need to cost much more than Grootgeluk coal or be sold at a loss. Since Matimba and Medupi are fully supplied, it would presumably be railed to the Highveld, adding substantially to Eskom’s already escalating coal costs. Resgen is looking for a sweet deal from Transnet, but the latter would need to expand the capacity of the Waterberg coal line and recover the costs of doing so – unless, of course, a more or less hidden subsidy is arranged. As an alternative, Resgen’s 2017 annual report said it would enter the bidding to build an independent power producer “in response to the anticipated request for proposal from the Department of Energy during 2018”. That prospect too has turned to dust as the draft integrated resource plan for electricity, published in August by the Department of Energy, confirms that there will be no such request for proposals. Resgen’s latest report goes silent on what it will do with the coal, but merely asserts that South Africa remains dependent on burning it. The company boasts “a genuine public-private partnership with critical stakeholders in the South African public sector including Transnet, the Public Investment Corporation, the Industrial Development Corporation and the Development Bank of South Africa… Without the support of these public sector institutions, it is reasonable to suggest that the project may well have been stillborn”. David Hallowes is a researcher for environmental justice organisation groundWork. He is working with Victor Munnik on the next groundWork Report on the state of environmental injustice. It will be titled Boom and Bust in the Waterberg.